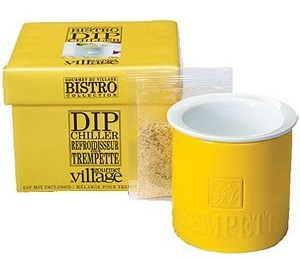 This beautiful, classy sunflower yellow stoneware dip chiller is designed to keep your dips cool for hours. The stylish design with the debossed logo will bring a sense of elegance to your dining table. It is perfect for entertaining of all kinds. 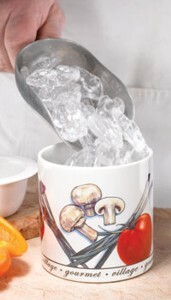 Fill the bottom portion of this 2 piece ceramic dip server-chill with ice. 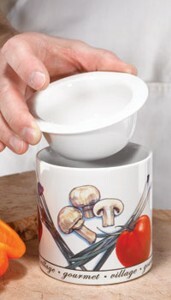 Fill the top cup with dip. Place the dip cup on top of the bottom ice container. 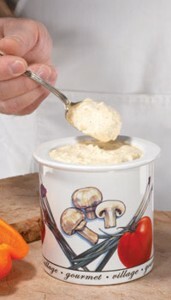 It keeps your dip fresh and cool for hours.